There is a certain amount of controversy over whether Shanghai Gold Exchange actual gold withdrawal levels are equivalent to the country’s true gold demand or not. The major gold consultancies like Metals Focus, GFMS and CPM Group all aver that they are not, yet the monthly and annual gold withdrawal figures as published by the SGE bear a far closer relationship to known Chinese gold assimilations (gold imports + domestic production + scrap supply) than the consultancies’ demand estimates and therefore we stick by our opinion that SGE gold withdrawal figures are a far better representation of Chinese gold consumption (in terms of the amount of gold bullion being absorbed by the nation) than other estimates of Chinese demand despite a major discrepancy with the figures provided by the consultancies. 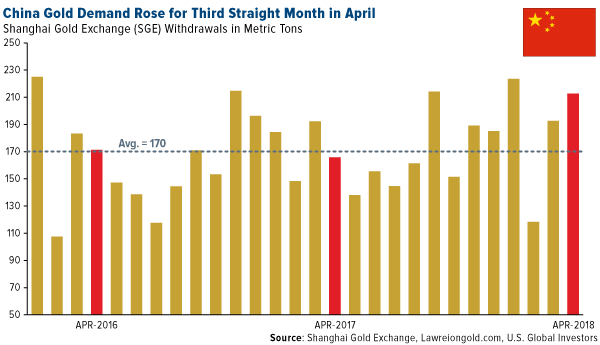 In any case SGE gold withdrawal comparisons on a month by month level have to be indicative of Chinese internal demand. The table published below, thus presents the month by month SGE gold withdrawal figures for the past three years – years which include the record 2015 year where Chinese demand peaked. As can be seen, on a year by year basis 2017 is coming out higher than last year although still comfortably below the 2015 record. Many media reports have been suggesting weak Chinese demand this year – probably based on the sharpish drop in gold export figures to the Chinese mainland from Hong Kong, which used to be the main import route for foreign gold entering China. But to counter this, the most up to date SGE withdrawals figures suggest that 2017 is heading to come in at over 2,000 tonnes. If December withdrawal figures come in at close to last year’s 196 tonnes, then the full year total will be comfortably over 2,000 tonnes, but given the Chinese New Year in 2018 falls around 3 weeks later than in the current one, the December withdrawals level could well be higher than last year bringing the annual total within range of the 2013 and 2014 totals –previously the second and third highest on record – see graphic of the 11-month SGE withdrawals totals for the past 10 years from Nick Laird’s www.goldchartsrus.com site. So, by all considerations, Chinese gold demand is still alive and well, although not as high as in the record 2015 year, which is a bit of an outlier. The fall in gold exports to the mainland from Hong Kong is because every year more and more of mainland China’s gold imports are arriving there directly through cities like Beijing and Shanghai and completely bypassing Hong Kong altogether. A great example of this has been the comparative levels of Swiss gold exports to China and Hong Kong (see: Big Surge in Swiss gold exports to India and China for the most recent figures). Switzerland is one of the biggest gold exporters to China and Hong Kong and over the past two years its exports to the Chinese mainland have dwarfed those going into Hong Kong. Two more articles I’ve published on the Sharps Pixley website – the first looking at Chinese gold demand as represented by Shanghai Gold Exchange (SGE) withdrawals and the second on yet another monthe where China says it has not increased the volume of its gold reserves (we doubt the veracity of the Chinese ‘official’ figures. Do click on tghe links to read the articles on info.sharpspixley.com. Gold Today –New York closed at $1,279.60 yesterday after closing at $1,278.20 Friday. London opened at $1,289.50 today. – The $: € was slightly stronger at $1.1246 after yesterday’s $1.1264: €1. – The Dollar index was slightly weaker at 96.73 after yesterday’s 96.77. – The Yen was stronger at 109.52 after yesterday’s 110.51:$1. – The Yuan was stronger at 6.7954 after yesterday’s 6.8036: $1. – The Pound Sterling was barely changed at $1.2904 after yesterday’s $1.2905: £1. Silver Today –Silver closed at $17.57 yesterday after $17.52 at New York’s close Friday. LBMA price setting: The LBMA morning gold price was set today at $1,287.85 from yesterday’s $1,280.70. The gold price in the euro was set at €1,144.40 after yesterday’s €1,137.04. Mainland China is set to import about 1,000 metric tons from Hong Kong in 2017, says, president of the Hong Kong gold exchange. That compares with net purchases of 647 tons last year and would be the biggest since 2013, data from the Hong Kong Census and Statistics Department confirmed. One has to be guarded about figures from Hong Kong being representative of Chinese demand. 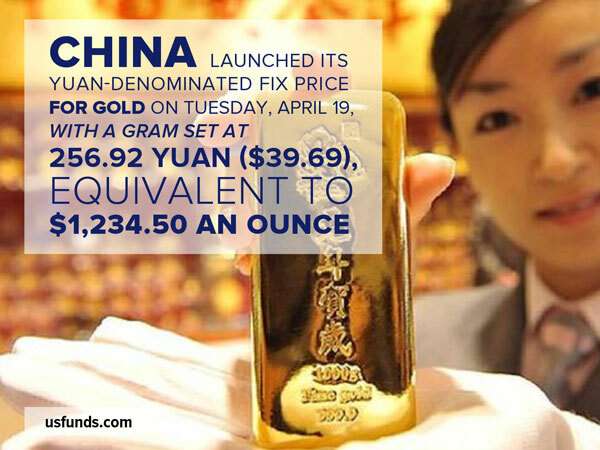 Gold enters China from Switzerland but also through Beijing and other ports of entry. In addition, the country mines around 450 + tonnes a year. It also imports gold directly from mines it owns outside the country. So the figures mentioned here are just part of the picture. What we do learn from these is that Chinese demand is running close to record levels. The government has encouraged this as a matter of policy, so as to build up the nation’s gold. Gold is not allowed to be exported from the country. The volatility of the Stock Exchange there is a discouragement for long term investors and is not regarded as competition for gold, as in most parts of Asia gold is not bought for profit but for financial security. As the Chinese middle classes burgeon so more and more gold investors arrive in the market. On top of this present middle classes continue to buy more. Ahead of GST, jewelers increased their purchases to replenish inventory, so as to profit from demand for gold after the additional GST was imposed. From a year ago the gold imports surged four-fold to 103 tonnes. Now that the GST rate increase has happened, it is likely that internal gold demand will jump until these extra stockpiles are reduced. 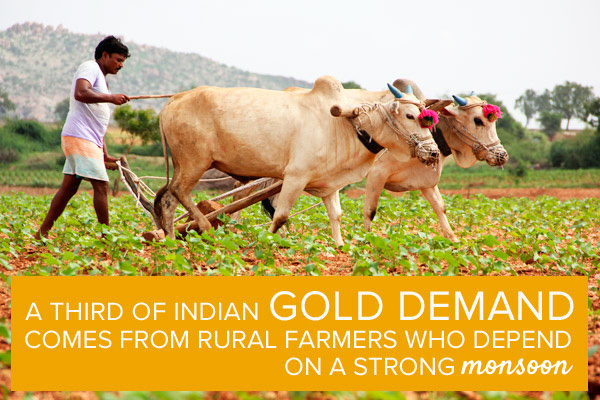 We fully expect Indian gold imports to slow until the harvest time is over, round about September. With the forecasts for the monsoon positive this year and indeed having already started in some regions, we believe demand later in the year will increase strongly. The Federal Reserve’s preferred price measure rose 1.7% in April from a year ago, down from 1.9% in March and 2.1% in February. Core inflation, which strips out volatile oil and food costs, also slowed to the weakest annual pace since 2015. This raises questions about next week’s rate hike. In the Euro zone, while producer prices rose 4.3% from a year earlier in May, that pressure has yet to flow through to consumer inflation. Euro zone inflation decelerated to 1.4 % in May, the weakest reading this year, from 1.9% a month earlier. We do not expect the E.C.B. to begin slowing their stimulus program until there is a marked change in this figure. Gold ETFs – Friday, saw no purchases of gold into the SPDR gold ETF, but saw purchases of 0.66 of a tonne of gold into the Gold Trust. Their holdings are now at 851.003 tonnes and, at 205 tonnes respectively. Gold Today –New York closed at $1,189.10 on the 26th January after closing at $1,200.10 on the 25th January. London opened at $1,184.00 today. – The $: € was stronger at $1.0696: €1 from $1.0732: €1 yesterday. – The Dollar index was stronger at 100.50 from 100.11 yesterday. – The Yen was weaker at 114.99:$1 from yesterday’s 113.78 against the dollar. – The Yuan was weaker at 6.8772: $1, from 6.8766: $1, yesterday. – The Pound Sterling was weaker at $1.2563: £1 from yesterday’s $1.2635: £1. Shanghai was closed today until next Friday for the Lunar New Year celebrations. Yesterday it traded between 268 and 266.80 but the Fixes have not been released today. This equates to $1,212.38 and dropping to $1,206.95 Which was in line with London then, before New York took it down further as Options were closed. The dollar was stronger across the board, but only slightly against the Yuan. Looking back over the last month, since Shanghai cut the size of contract to a maximum of 500 Kgs, making speculation very expensive, there is no doubt that Shanghai controlled global gold prices during that time. We can see no reason why this should not continue in the future, after Chinese demand from the global gold market returns next week. LBMA price setting: The LBMA gold price was set today at $1,184.20 down from yesterday’s $1,191.55. The gold price in the euro was set lower at €1,107.45 after yesterday’s €1,111.21. Ahead of the opening of New York the gold price was trading at $1,185.45 and in the euro at €1,108.62. At the same time, the silver price was trading at $16.77. Silver Today –Silver closed at $16.80 at New York’s close yesterday against $16.99 on the 25th January. Yesterday in New York there were no further sales of gold from the U.S. based gold ETFs, but as we forecast, the price fell as options were closed out. We do not expect heavy ongoing sales in the U.S. or London, because the time to sell was yesterday and the day before, in the very short term. This may open the door to speculators going short for the next week only. We are getting the impression that developed world gold markets are of the opinion that there is surplus of gold and that demand will weaken soon. We do respect the leading analytical agencies which are extremely competent. However, their arms are tied behind their backs because they only look at retail remand in China and cannot gather enough accurate information on smuggled gold in India, which we believe is far larger than they estimate and growing rapidly. Indians fear disclosing gold purchases to government via banks because they don’t trust government or banks but in particular the bureaucrats that administer government policies. Hence Indian ‘official’ imports cannot be an accurate measure of Indian demand. Chinese gold demand that ignores gold in the banking system is likewise an inadequate measure. The WGC provided numbers on gold held in India at 24,000 tonnes excluding Temple owned gold, which we know is well over 2,000 tonnes. This gives us a sense of proportion on Indian respect for gold remaining unwilling to give the government either control of it or access to it. Global Central Bank held gold is over 34,000 tonnes. While government and the Indian banking system would love to command these assets, we can’t see any government surviving after any attempt to do so. The debacle over the 86% of cash in the country causing an economic crunch of greater proportions than any agency will admit, in itself, may cost the government its position. We spoke to our Swiss friends in the industry and they have confirmed demand has never been so high with refineries running 24 hour shift six days a week in December and now. They are exporting primarily to China and Indian buyers at full pelt. With prices pulling back now, when the Chinese do return we see them jumping in to get these prices. Gold ETFs – Yesterday, in New York, there were no sales or purchases of gold from or into the SPDR gold ETF or the Gold Trust, leaving their respective holdings at 799.070 tonnes and 198.75 tonnes. Since January 4th 2016, 196.94tonnes of gold has been added to the SPDR gold ETF and to the Gold Trust. The latest GFMS Gold Survey Update taking Q2 figures into account doesn’t make for particularly positive reading for the gold investor in terms of fundamentals, but nevertheless the consultancy has upped its average gold price forecast for the year from what looks to have been a rather low estimate of $1,184/ounce to what might seem a still relatively conservative $1,279/ounce. It should be recognised, however, that this is an average price forecast for the full year, and despite the headline spot price currently heading for the $1,350 level after a downbeat US GDP assessment, the actual average for H1 is still some way below this at around $1,219 based on LBMA figures, so this still suggests a second half average of close to $1,340/ounce to achieve this kind of level for the whole of the year. Perhaps not quite so conservative after all! So why do we say that the fundamentals do not look quite so positive as the relatively upbeat survey title might suggest? That is because of a remarkable estimated downturn in gold’s principal demand sector – jewellery manufacture, particularly in gold’s two largest markets, China and India. GFMS does come in for some criticism on its Chinese consumption statistics in particular, largely because of its definition of what actually comprises demand. This actually comes in way below known Chinese gold imports and even further below withdrawals from the Shanghai Gold Exchange (SGE) which the Chinese Central Bank defines as Chinese demand in its Gold Yearbook. The discrepancy is in part because GFMS consumption statistics ignore some very substantial gold flows into the banking and institutional sector, purportedly for use in financial transactions, but we have surmised they may also provide a back-door, and unreported, addition to China’s gold reserves given the country’s commercial banks are all state-controlled. Certainly gold flows into China in total are way in excess of GFMS-estimated Chinese demand figures. For China so far this year, GFMS reckons Chinese jewellery demand is seen as down by 31% year on year – the worst Q2 performance since 2009. Investment demand is also seen as falling by 12% quarter on quarter for Q2. Overall GFMS describes Chinese demand, as it calculates it, as being in freefall, although it is anticipating a pick-up in Q3. While SGE gold withdrawal figures will also be substantially higher than the GFMS definition of Chinese gold consumption – they too are down sharply year to date as well by around 17% – which certainly confirms the trend noted by GFMS, if not the size of the downturn. Up until the end of June some 973.1 tonnes of gold had been withdrawn from the SGE. Analytical consultancies like GFMS believe SGE figures include a significant degree of double counting, although some other analysts who follow these figures disagree saying SGE rules prevent this. Chinese demand may also indeed be beginning to pick up, despite media headlines which look to suggest the opposite. Hong Kong remains the conduit for perhaps around 60% of gold imports into the Chinese mainland and the May figure was the best for five months at 101 tonnes. June did see a fall back to 68.7 tonnes but theBloomberg report headlined China’s Gold Imports Slide in June as Rising Prices Deter Buyers, where the headline suggested a major downturn in Chinese imports, rather glossed over the fact that even so the June figure was still more than three times higher than the figure for June 2015 – and 2015 was a very strong year for Chinese gold imports and demand! The SGE withdrawals figure for the year was a huge new record at just shy of 2,600 tonnes – equivalent to over 80% of global new mined gold output. GFMS also saw Indian jewellery demand as being even worse with jewellery consumption down 56% – and even globally it sees overall jewellery consumption down 27.3%. It also puts global industrial demand as down by 7%, net official sector purchases down 48.5% (due primarily to reduced purchases by Russia and China in H1 coupled with sales by Venezuela) and global retail investment demand off by 2.6% overall. To make things worse, despite seeing a 2% fall in new mine supply, overall supply is estimated as growing by around 6% due to an increase in scrap sales brought on by higher prices, and an increase in gold hedging activity. The one bright spark in the supply/demand fundamentals balance has been the huge inflow into gold ETFs, totalling an estimated 568 tonnes in the first half of the year, so while GFMS sees gold in a supply surplus over the period, it has not been nearly such a severe one as the other supply/demand statistics might suggest. 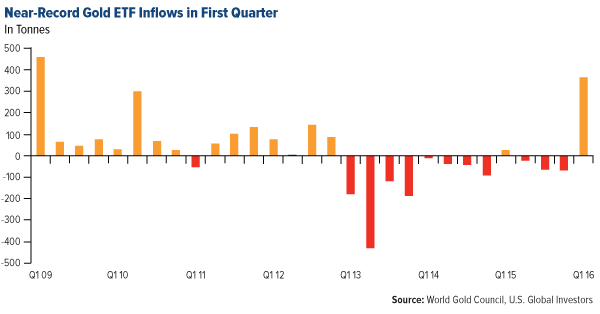 But what if the ETF inflows start to reverse as they have been over the past week or two? The likelihood could be a summer slump in the gold price, unless some global black swan event intervenes to regenerate more safe haven demand. Or can sentiment alone hold the gold price at around current levels? The FOMC meeting this week saw no indication of any timetable for increasing US interest rates, which gave the gold price a strong boost. The latest US GDP growth figures have also come in way below expectations, which may dim further expectations of a September US interest rate increase – and the feeling is the Fed won’t want to rock the boat ahead of the US Presidential election, which will likely see any interest rate rise decision to be postponed until December at the earliest. What positives for gold does GFMS see? It is now reckoning that new mined gold supply is definitely on the downward path. There are relatively few new projects and expansions expected to begin producing this year to replace old mines closing down or those seeing lower grades, and those new operations in the near-term pipeline are generally fairly modest in scale, hence an opinion that global mine supply is now set to begin a multi-year downtrend this year. But even if mine supply were to fall by 10% next year, which is probably a hugely excessive guess (the more likely figure would be 2-3%), this would only take 300 tonnes or so out of the global picture and unless Asian demand picks up again we could be heading for quite a major surplus. But, even so, GFMS has raised its price projections as noted above, which means perhaps its analytical team is a little more positive than its figures might suggest. It puts this down to political uncertainties ahead including the ongoing impact of the Brexit vote in the UK, reduced expectations of a rate rise from the Fed, a wobbly Italian banking sector and the U.S. Presidential race. During my most recent webcast a couple of weeks ago, I had the pleasure of being joined by the CEO of the World Gold Council (WGC), Aram Shishmanian. As expected of someone of his stature, Aram brought another level of insight and expertise to our discussion of gold’s Love Trade and Fear Trade. Below, I’ve selected a few key moments from the webcast to share with you. You can hear the full replay and follow along with the slide deck at usfunds.com. Aram: It’s an understatement to say that gold had a good quarter. It increased over 16 percent in the first quarter, the fastest it’s done so in 30 years, overtaken only by the Iranian oil crisis in the 80s. The story is not just about the gold price. The gold ETF industry has increased by over 50 percent worldwide. 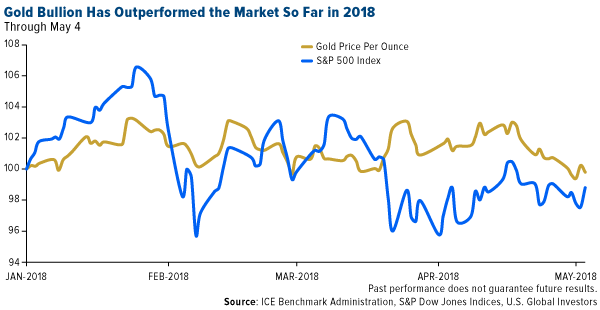 In addition to that, we’ve seen the market capitalization of members of the World Gold Council—which represents the majority of the gold mining companies in the world—increase 70 to 80 percent in the past four months alone. Frank: The growth of gold’s Love Trade depends on rising global GDP per capita, and last year there was a tipping point in China. For the first time, the size of China’s middle class reached 109 million people, overtaking the U.S. middle class. This group gets lost in the sea of 1.4 billion people, but these 109 million people—a third the size of America—want to travel and buy higher quantities of gold for gift giving. The same goes for India, where 600 million people are under the age of 25. That’s two times the size of the population in the U.S. They’re all wired. They’re all connected. They’re driven for education. Their affinity for gold is not going away. If you look at China, the U.S. and India, there’s a significant portion of GDP growth, which is so important for the gold market. Aram: Today, China and India represent over 70 percent of world demand, driven by hundreds of millions of people and supported by pro-gold government policy. The U.S., by comparison, is 6 percent of world demand, yet price discovery on the COMEX (Commodity Exchange) and in London is somewhat overweight because it is U.S. or Western economy-centric. The Shanghai Gold Exchange was established 13 years ago and today is the largest gold exchange in the world, not to mention the most sophisticated. In April this year, it launched the Shanghai gold benchmark, which parallels that of the London benchmark price of physical gold. Last year, trading volumes in Shanghai were over 10 trillion renminbi. I think for those who haven’t had the opportunity to visit China, you have to go to understand that China is the biggest producer and consumer of gold. It imports over 600 tonnes a year and is driven by highly diverse demands by hundreds of millions of people. Three hundred million Chinese households will become middle class in the next two years, and they have a higher savings ratio than anyone in the world. Frank: Jewelry ends up becoming money whenever there’s a crisis in a country’s currency. Right now, it’s not so much a crisis as gold is an important asset class, in a world where we have zero interest rates. Aram: Jewelry demand is still 45 percent of the gold market, and in Asian societies—India, China, Southwest Asia—it’s about wealth preservation. 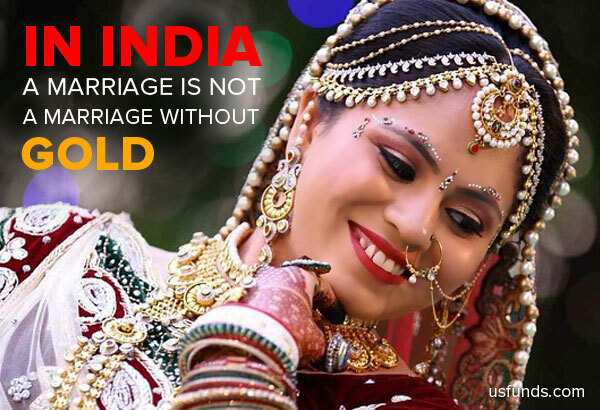 In India, a marriage is not a marriage without gold. It’s crucial to their belief system. The husband owns the land and the farm and other assets, but the wife owns the gold. It’s her security blanket. It’s not just about adornment, it is about financial security. That’s quite often misunderstood in the West where we think of jewelry as discretionary adornment. Frank: You can buy the most incredible gold jewelry, but it is 24 carat. Aram: Yes, Chinese gold demand is purely 24 carat gold, which is 100 percent. In North America, 18 carats is the norm, but in India it’s 22 carats. During Diwali, it is auspicious to buy gold, and at certain festivals in India throughout the year, it is an auspicious time to marry and then you see peaks that are highly predictable. Frank: It’s unprecedented that a third of all global government debt has negative yields. Aram: Which drives gold demand. Effectively what we’re seeing is people’s pensions being decimated because the policymakers have had very few if any alternatives left. It is in this environment that gold will help satisfy need. Take the Japanese economy. Today, over 200 pension funds allocated about 2 percent to gold. It’s not only about wealth creation like the model in the Western world, where we generated 7 percent returns on investment for pension funds. That is gone in Japan, and therefore it’s more about protection of wealth rather than creation. That’s where gold plays. Frank: In the state of Texas, where we’re based, Shayne McGuire, portfolio manager of the Gold Fund for the Teacher Retirement System (TRS) of Texas, is doing a great job. They’ve taken up a real strong position. Aram: They took a strong position quite a few years ago. The TRS has been one of the forerunners of U.S. pension funds holding gold. Aram: An important aspect of gold is its scarcity value. The total amount of gold produced in the history of mankind is about 170,000 tonnes. That’s the size of two Olympic-size swimming pools and it is still in use. The amount of gold discoveries are very, very few now. Gold production at the moment is pretty constant. As you’ve seen with mining equities, huge capital investments were made in the last few years, but very little new supply came forward because the mining companies had to invest huge amounts of money to get licenses to operate and to find new discoveries and increasingly more complex mining conditions. In terms of supply, it is virtually constant. It goes up and down 1 or 2 percent per year, but it is constant. 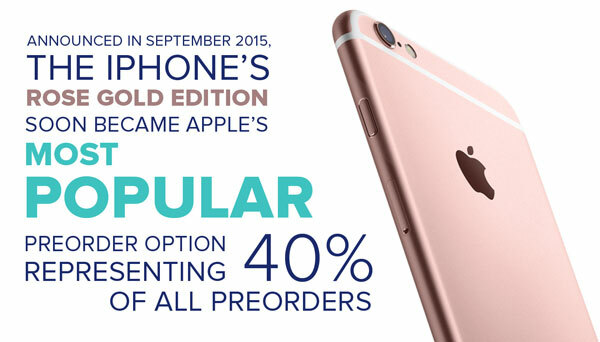 Aram: Producing gold iPhones has increased sales dramatically. It goes back to the idea that gold is integral to our belief system. It’s integral to our language. Not just in the DNA of far-flung countries but in our Western society. Frank: And then talk about extravagant wealth in the Middle East, where some of these princes have their cars gold-plated. It’s extravagant, but I’m trying to highlight the allure of gold, which can be found everywhere, from the iPhone to buying 24 carat gold jewelry. I think this is important for investors to realize. Herewith my introductory paragraphs for my latest article on sharpspixley.com . China’s SGE has stopped publishing withdrawals data as the nation becomes ever more sensitive about the scale of its gold accumulation. In the absence of SGE figures how does one assess the true level of Chinese gold demand and absorption – what goes in doesn’t come back out and there’s far more to China’s gold inflows than suggested by mainstream precious metals consultancies’ and the WGC’s ‘consumption’ figures. In the article I look at true Chinese gold absorption based on known imports, plus domestic gold output, plus scrap which together are hugely higher than the so-called consumption figures publicised in mainstream media. There have been two schools of thought regarding the measurement of Chinese gold demand – those who have followed the figures put out by the major precious metals consultancies and the World Gold Council, and the hugely higher figures suggested by Shanghai Gold Exchange (SGE) withdrawal figures. In truth we find the mainstream consultancy and WGC figures increasingly hard to live with, despite the analysts pouring scorn on the SGE figures which, to this observer, look much more likely if one relates them to known mainland China gold imports alone – let alone adding in the nation’s very substantial domestic new gold output. For example, if one goes by mainstream consultancy GFMS China gold consumption figures you find an annual total under the consultancy’s latest report of something well south of 1,000 tonnes for 2015 and with the added comment that Indian consumption was ahead of that for China for the second consecutive year. But – and this is a big but – it all depends on how one defines consumption. 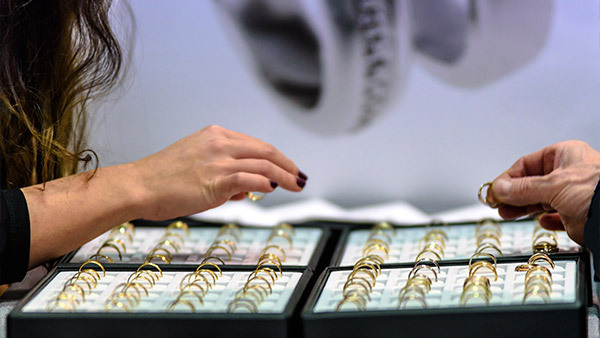 As far as gold jewellery demand is concerned this is probably all very true. But GFMS also comments that Chinese bank holdings of gold increased by as much as 400 tonnes over the first three quarters of the year bringing total bank holdings to some 1,900 tonnes at that time – and presumably to over 2,000 tonnes by the year end. This is all gold being absorbed by the Chinese market in some form or another. Interestingly if China treated its commercial bank holdings in the same way that Turkey does, then the country’s total gold reserves (Central Bank plus commercial banks) would probably be close to 4,000 tonnes, which does correlate pretty well to some estimates of total Chinese gold holdings, rather than the 1,762 tonnes the Central Bank reports to the IMF. …. The New York gold price closed Tuesday at $1,121.40 up from $1,108.30 up $13.10. In Asia on Wednesday, it held over $1,120 ahead of London’s opening and then the LBMA set it at $1,116.50 up from $1,114.70 with the dollar index down at 99.00 from 99.36 on Tuesday. The euro was up at $1.0874 from $1.0831 against the dollar. The gold price in the euro was set at €1,026.76 down from €1,029.18. Ahead of New York’s opening, the gold price was trading at $1,117.80 and in the euro at €1,027.86. The silver price in New York closed at $14.50 up 26 cents at Tuesday’s close. Ahead of New York’s opening, the silver price stood at $14.40. Tuesday saw purchases of 5.057 tonnes of gold into the SPDR gold ETF and 3.31 tonnes into the Gold Trust. The holdings of the SPDR gold ETF are now at 669.229 tonnes and at 165.13 tonnes in the Gold Trust. This was a surge of physical demand showing a broader section of the investor community is now turning to gold. We expect this to continue. Overhead resistance is out of the way until the gold price moves much higher and then it is not a significant resistance. There was little dealers and speculators could do, except to bow to the upward pressure. Closing short positions will gain momentum now. Bear in mind this is not physical buying, simply closing financial transactions related to the gold price. We expect nothing dramatic from the Fed today except cautionary warnings on the state of global growth and an awareness of the damage dollar strength could do. This will be positive for gold! We find it significant that Apple described global market conditions as ‘never before seen’. We ignore the demand for Apple i-phones and factor in the commentary on the state of the global economy, which they see as dramatically slowing. Against a background of currencies weakening in the ‘race to the bottom’, the global debt mountain will see a diminishing global cash flow with which to service such debt. This will place extreme pressure on the economic structures around the world. It’s a case of where the next fracture is going to come from? With Asia having drawn off gold supply so extensively the news that gold discoveries have collapsed confirmed the future supply squeeze in the years to come. As it is, this year we expect gold supplies from mining to peak. We do see demand for gold being much higher than the bulk of forecasters think particularly from China. This could be the beginning of gold’s return to record price levels! – Silver is running full pelt now. A quick Christmas Day post to keep China gold followers up to date. SGE withdrawals for Week 49 (the week ended December 18th) were back on the upwards path as the Chinese New Year draws nearer. 51.747 tonnes of gold were withdrawn making foe a total so far this year of 2,502.6 tonnes – already around 322 tonnes more than the previous full year record of 2,181 tonnes achieved in 2013, and with the best part of two trading weeks still to go. We thus stand by our estimate for the year of total withdrawals as ending the year in the high 2,500s – equivalent to around 80% of total global annual new mined gold production. If anything shows that Chinese gold demand is running high this year, despite the much more limited figures being put out by the major analytical consultancies which only appear to cover a proportion of total Chinese gold demand, then these latest figures demonstrate this strongly, if only in comparison with the previous SGE record withdrawal figures. 18.75 t gold bought into GLD – is this a turning point? The New York gold price closed Friday at $1,065.90 up $15.20 from $1,050.70 on Thursday’s close. In Asia, prices rose to $1,072.50 with London holding it at the same level and with the dollar index falling slightly to 98.70 down from 98.99. The euro rose to $1.0869 up from $1.0821 on Friday against the dollar. The London a.m. LBMA gold price was set at $1,071.15 up from Friday’s $1,055.25 up $15.90. The euro fixing was €985.96 up from Friday’s €975.55. Ahead of New York’s opening, the gold price was trading at $1,072.85 and in the euro at €987.21. Silver Today –The silver price in New York closed at $14.10 up 38 cents. Ahead of New York’s opening the silver price stood at $14.25. On Friday a buyer bought 18.749 tonnes worth of shares into the SPDR gold ETF. This cost around $633 million. We haven’t seen such a sizeable purchase for over 4 years! This was responsible for the rise in the gold price on Friday and we expect more follow through in New York as this is factored in. If there is more buying into this fund or from other quarters of the market it will tell us that major investors views, in the U.S. are changing to the positive. The holdings of the SPDR gold ETF are now at 648.915 tonnes and at 155.87 tonnes in the Gold Trust. COMEX remains massively short. The dollar index is still not attacking the 100 level, which we feel it needs to do to convince the market that the dollar’s bull-run is still hale and hearty. Against the euro it remains at the $1.086 level despite the interest rate differentials. So far this points to a gold price that is unlikely to fall until these numbers change. Again we say we believe that gold and silver investors must understand and appreciate the importance of currency influences on gold and silver prices if they are to succeed in these markets. COMEX speculators cut their bullish positions last week emphasizing the viewpoint that they expect gold prices to fall heavily. If they are wrong we may see a heavy rout in these positions? Meanwhile the Chinese continue their massive demand on a sustained basis with 46 tonnes of gold withdrawn from the Shanghai gold Exchange. And Russia continues to buy heavily for its reserves taking 21.8 tonnes off the market last month. We expect Russia to continue its buying program. We also expect them to diversify out of the dollar into the Yuan in 2016 too. We expect 2016 to see a far greater presence made by China and the Yuan in both the gold and currency markets. As it is an event never seen before, it is difficult to quantify. But the sheer size of its population, growth and financial resources indicates just how easy it is going to become to change the currency world and monetary system. We see the U.S. reacting badly to this but gold and silver reacting well to it. The silver price will follow gold this week, with strength. China’s Shanghai Gold Exchange withdrawals continue strong with another 49 tonnes taken out in the week ended November 27th bringing the year to date total to just over 2,362 tonnes. For comparison the previous full year record total achieved in 2013 has already been exceeded by around 180 tonnes, with just over a month to go until this year end. We are downgrading our full year forecast to 2,580 tonnes from the previous 2,600 tonnes plus, but this would still be 18% higher than the previous record – and around 23% higher than last year’s total withdrawal figure. Much is made in the West of the downturn in the Chinese economy – but this is a reduction in percentage growth – not a recession. Sometimes the two seem to be confused by the media. The Chinese middle classes are continuing to grow and employment is being pushed in the government’s economic reboot to the services and domestic consumption sectors which tend to pay higher wages than manufacturing and thus the disposable wealth within this ever growing population segment is growing rather than diminishing. As one of the speakers at this week’s Mines & Money conference in London pointed out, for thousands of years China and India were the world’s richest countries – a position they mostly lost in the 19th and 20th centuries. They are becoming so again – a return to the status quo ante perhaps – and with their huge inherent disposition to accumulate gold (which has served their people well over the centuries as a store of wealth and protector against economic downturns and inflation) we can only see the gold acquisition trend continuing to build. We are already close to the crunch situation in the supply/demand equation for gold and again, as a number of highly respected speakers suggested at Mines & Money, the gold price will go up, and likely go up very sharply, although none would really commit themselves on a timescale for this to occur. Perhaps the nearest was Pierre Lassonde who reckoned the U.S. Fed has talked itself into virtually having to start raising rates this month, or lose all credibility, but that it will be forced to backtrack before the middle of next year, cutting rates again – or even implementing QE4 – and this would be the trigger for the start of a gold perception resurgence. Grant Williams (no relation) talking at the same event somewhat concurred and commented that when gold does rise it will likely move rapidly and comfortably take out the previous all-time price high. Good fodder for the remaining gold bulls!